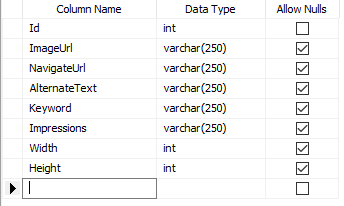 In this article I am going to explain how to show rotating ads using Sql server database in asp.net without page refresh. 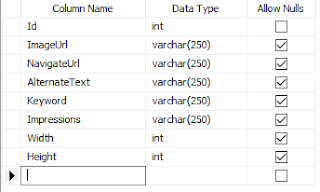 In this example I am going to use sql server database as adrotator data source. I have create a table Ads and insert some dummy records into it.